So the late May bank holiday is approaching (did you know it is also called the spring bank holiday in the UK) and we’re sure that you have your noses revising in books, laptops and tablets. 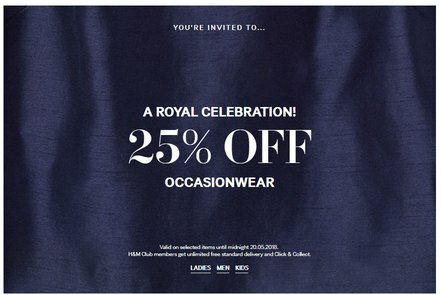 There is 25% off most items at Jack Wills. My my it’s Wednesday already, where is this week going? Well the good news is that there are still lots of deals, bargains and offers to be had coming into the bank holiday weekend. This is traditionally a time with lots of sales and as you students know this is the best time to save. We’ll keep an eye on the best of them and let you know below! The Amazon Echo speakers have really taken off. If you’ve been thinking of getting one then now is a great time as at the Echo is now £74.99 and the Echo Spot is £99.99. The Echo Spot is one of the newer devices, has a screen and looks pretty funky to us. Plus you can save £5 on the Fire TV Stick or £20 on a quality Fire Tablet which has had great reviews and was super cheap already! If you’ve been looking for a really good pair of running or gym trainers then head over to the Asics Outlet, where there is now an extra 20% off. To get it head to this page on the website and you can pick the code up, enter it at the online checkout and be laughing all the way to the gym! We spotted some Gel Lyte and Gel Kayano trainers included so it really is incredible value. The sky is blue and the sun is shining here at Squirrel HQ. We’re back with some fantastic new Daily Deals. And Good Luck to all of you who have exams today. ASOS Promo Code – 20% Off Everything! We’ve found out a big voucher code for Asos. It gets you 20% off everything. Just enter EVERY20 at the online checkout. End on Wednesday so get in there quick as this is a good one! Did you know you can now buy the Tu clothing range at Argos? And that there’s now 25% off EVERYTHING! There’s some really great summer dresses, shirts and accessories and ranges for both men and women so well worth a look and some crazy prices going on. The discount is already applied so no fiddly codes to apply. Super easy! If you’re looking for the latest iPad 2018 then we’ve seen a very good price at very.com. It is quoted at the standard £319 but if you enter the promo code MUND then you get 10% off! By our Squirrel maths that’s £287.10 which is a great saving on a quality tablet that isn’t reduced that often. This runs out on May 24th 2018. Looking for a new laptop for uni? Then currys.co.uk is the place to go as they have a range of HP Pavilion laptops reduced. We like this as it suits all budgets but we recommend going for the best specs that your student loan can budget for. One with a Pentium Gold processor is now £349 but if you can stretch the Core i3 version will run all your programmes a lot faster and will generally last for longer. If you’re in the mood to treat yourself to a Nintendo Switch console then Tesco Direct have a cracking deal at the moment. They’re offering a the switch console with the great footie game FIFA 2018 for FREE. That makes it £279. WIth the World Cup coming this will make it a cracking buy to celebrate finishing exams with your mates. F&F is Tesco’s clothing range and we think that it’s a great way to cheaply update your student wardrobe this summer. And now there is even more reason to try because they are offering a range of voucher codes to save up to £25. There are some lovely summer dresses in womenswear, mens affordable shorts and shirts and some great accessories too. There is also a handy clearance and offers section which is worth checking out too. Let us know if you bag a bargain in the comments section. We love Nike trainers and sports clothing. It’s always well made, comfortable and looks fantastic. And now you can save up to 30% in the mid-season sale. There is also a 10% student discount on full price items only and we have some great savings tips in our comprehensive guide which is worth a read. On the sales page use the filters to search by trainers, clothing etc then the sort by button to arrange price from low to high to get the best bargains. Good luck! Here are some other deals highlights just in. JD Sports have a £1 next day delivery code but only until 5pm today. Check jdsports.co.uk for details. Wowcher have a couple of fun offers on at the moment. How about a giant connect 4 for just £9.99. Great for summer parties before you break up. Also Charles Oscar backpacks are now just £14.99. They come in a range of colours and look really well made. *In order to fund this site and bring you fantastic deals we sometimes earn a small commission from retailers and brands through links on this page. Urban Outfitters are the first into the fray with their Summer Offers. There is up to 30% off selected womenswear, menswear and gifts too. Remember that there is also a UO student discount too. This can’t be used on sale items but it’s useful if anything full priced takes your fancy. We spotted that H&M have 30% off selected ‘Occaisionwear’. Even though there is no student discount this is a great offer for university goers to save with. A lovely pleated dress now £49.99. Very Kate Middleton we thought! Just head to the H&M home page and there is a big link at the top of the page. Need some new trainers but the student loan is running out? Then head over to MandMdirect where they have up to 75% off. There is now a short term code to save 10% plus a 50% sale going on.